Nintendo has managed to reverse a court ruling that could have removed many of its controllers from the market. 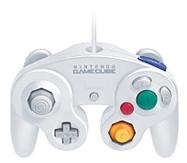 In May, 2008 Nintendo lost a case filed by a small, Texas-based company called Anascape, which claimed that Nintendo's Wii Classic, Wavebird and GameCube controllers violated the company's patent. Nintendo was ordered to pay $21 million and stop using the technology. Today, the US Federal Court of Appeals reversed the decision, overturning the initial ruling handed down by the Texas district court. Anascape took both Nintendo and Microsoft to court in 2006, seeking damages and hoping to force the controllers that it claimed violated its patents to either be pulled from circulation or for royalties to be paid. The patents covered a range of controller technology including analog sensors, feedback and vibration mechanisms. While Microsoft settled outside of court, Nintendo decided to fight. The fact that Anascape doesn't actually manufacture any products that make use of the patents, combined with the fact that the patents it holds are for technology such as "Game controller with analog pressure sensor" and "Analog controls housed with electronic displays" - technology commonly used in most gaming consoles - perhaps had some bearing on the Federal Court's decision to grant Nintendo's appeal.